We will be closed on Saturday the 23rd of February for an annual staff event. We will reopen on Sunday 24th February and apologise for any inconvenience caused. Book Online with FREE Appointuit App Search 'APPOINTUIT' in Google Apps or the App Store to download. Welcome to Harold Park Medical Centre. We are a family medical practice open 7 days a week with Bulk Billing available to eligible patients. 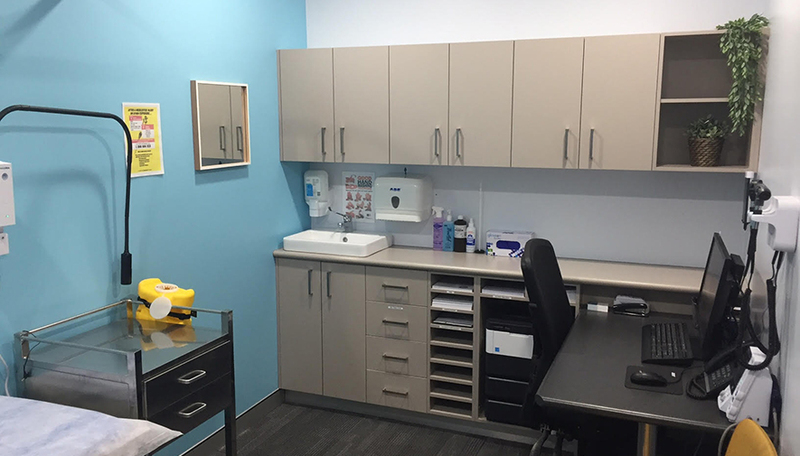 We have Australian trained General Practitioner Doctors (GPs), psychologist, physiotherapist, dietitian, exercise physiologist, nursing and onsite pathology. We are open on weekends including Sunday and most Public Holidays. We are located inside the newly revamped ‘Tramsheds’ building in Harold Park, at shop 12B, 1 Dalgal Way, Forest Lodge. To access Dalgal Way and the car park (90 mins free parking for patients) turn off from The Crescent near ‘PetO’ in Annandale. Alternatively you can enter the Tramsheds from Maxwell Road, easily accessed from Glebe Point Road or the Jubilee Park Light Rail stop. We serve patients from Harold Park, Forest Lodge, Glebe, Annandale, Lilyfield and the rest of Sydney and Inner west and beyond. We look forward to meeting you and your family.